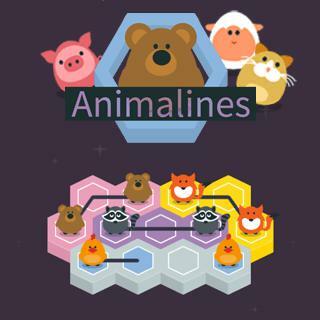 Play Animalines and more Puzzle Games on Games1.com! In Animalines the cute animals need to be reuited. Draw a connecting line between them and fill out all the fields to complete each level. All fans of puzzles and riddles will love this game for the challenge it brings with each new level, because finding the perfect connection gets more difficult. Use your logical thinking, connect the animals and solve the problem in every level!